Looking for movie tickets? 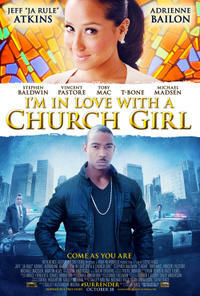 Enter your location to see which movie theaters are playing I'm in Love With a Church Girl near you. A powerful, inspiring story of a love between a man and a woman, of God’s never-ending grace, of a family at home and in church that never stops praying and believing, and a faith that knows second-chances never end.